Beautiful You: LIFESTYLE | Tale as Old as Time Afternoon Tea! 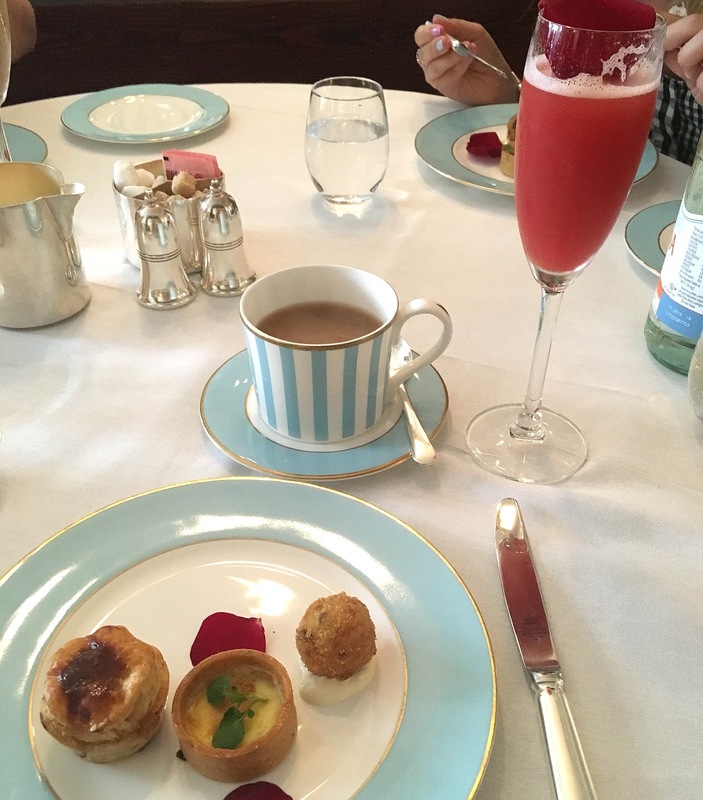 LIFESTYLE | Tale as Old as Time Afternoon Tea! Back in January my mum, my sister and I booked to go to London for an afternoon tea as a celebration for finishing university. The afternoon tea was booked for this past Saturday and it was one of the best I have been to in a while so I thought I would share the experience and my thoughts with you all. If you know me then you will know that I am a huge fan of afternoon tea, it is a great combination of sweet and savoury. Also it is a great thing to do to celebrate any occasion for not too much money or if you want to spend a little more then you can go for a luxury one. Your basic afternoon tea comes with a selection of finger sandwiches, some sweet treat options and then the best part of it all; scones. However, there was something slightly different with the afternoon tea that we had on Saturday, that being it was Beauty and the Beast themed! The Tale as Old as Time afternoon tea was served at The Kensington Hotel (in London obviously) which isn't an area of London that I have been before so it was really nice to see and explore somewhere new. The hotel itself was really beautiful, it had a lot of greenery outside and this extremely aesthetic bike parked up, which of course I loved! You get seated in their dining room, the staff explain about the afternoon tea and then take your tea order, I went for a standard english breakfast tea but decaffeinated as I shouldn't really drink caffeine. My sister and I also ordered a cocktail called Va Va Voom and my mum had a glass of champagne as an extra too, this are obviously an additional cost on top of the set price. They then bring out your 'starters', these are a selection on savoury treats which include a cheese soufflé, a beef ragu meatball and a venison pie which were all delicious! After you have finished these they then bring out the traditional afternoon tea stand with the sandwiches, sweet treats and brioche baguettes along with Mrs Potts and Lumière! The sandwich selection includes egg mayonnaise, salmon and cream cheese, cucumber and cream cheese and chicken and cranberry sauce. I am not a fan of fish so I swapped this one out with my sister but they were all delicious, my favourite was the cucumber and cream cheese one. The sweet treats included a Cogsworth shaped chocolate and raspberry tart, a vanilla and chocolate macaroon, a vanilla and gold jelly which you topped with cream from Mrs Potts and 'the grey stuff' which is Chip filled with white chocolate mouse and grey whipped cream. I wasn't a fan of the chocolate tart as it was really rich but everything else was really yummy and I love the references to the film. Lastly, we got brioche in the shape of a baguette with a choice of either chocolate or apricot filling. As Beauty and the Beast was written by a french author the afternoon tea obviously had to have a french twist, hence why there were no scones but these brioche options instead. After you had finished these treats you were given Bell's dress which was a ginger nut biscuit with marzipan inside, I'm not normally a fan but this tasted amazing! This whole afternoon tea experience cost £35 and you got the table for 1 hour and 45 mins which is plenty of time. The price of this afternoon tea was really not too bad considering everything that you got and then the cocktail my sister and I shared was £14 and a glass of champagne was £12 on top! I honestly cannot recommend this afternoon tea enough as it was so nice to have a different twist on it and not just the standard cake scones that you normally get. I also think that anyone would love this, not just Disney lovers because even though the food is themed, it tasted delicious and was totally worth the price. If you want to book this head over to afternoontea.co.uk, however they are pretty fully booked with only limited availability until November when the experience ends!